The total chargeable fee for the session should be paid in four installments. Transport Fee will be charged in accordance with the distance slab, as per the details in the Fee Book. The Fee Slip is non-transferable. No payment is to be made without proper receipts. Payment can be made by Cheque/DD only, up to 10th of the month in which it is due. Cash will not be accepted. Defaulters shall entail the risk of getting the names of their wards struck off the school rolls automatically and no separate information will be given to them in this effect. If the name is struck off, re-admission fee plus the usual late payment fine will have to be paid. A student, who has not paid the fee till the end of each quarter, will not be allowed to attend the school. Pay Order/Bank Draft or Cheque must be in favour of Principal, Hansraj Model School, Punjabi Bagh. If the payment of fee is made by Demand Draft/Cheque, the parents are requested to write the Name, Fee Code, Class, Contact no. and Section of their ward on the right hand top corner of the rear side of the Draft/Cheque. Submit separate Cheques for each student; cash will not be accepted. In case of late payment, a fine of Rs. 10/- per day will be charged after 10th of each month. Transaction dishonour charges will be Rs. 100/- plus admissible fee. In case the Fee Slip is not received by 2nd of the month, the Fee Counter may be contacted along with the Fee Cheque before 10th of the month. Parents can deposit the fees on monthly basis by 10th of every month. No separate Fee Slip will be issued for the same. 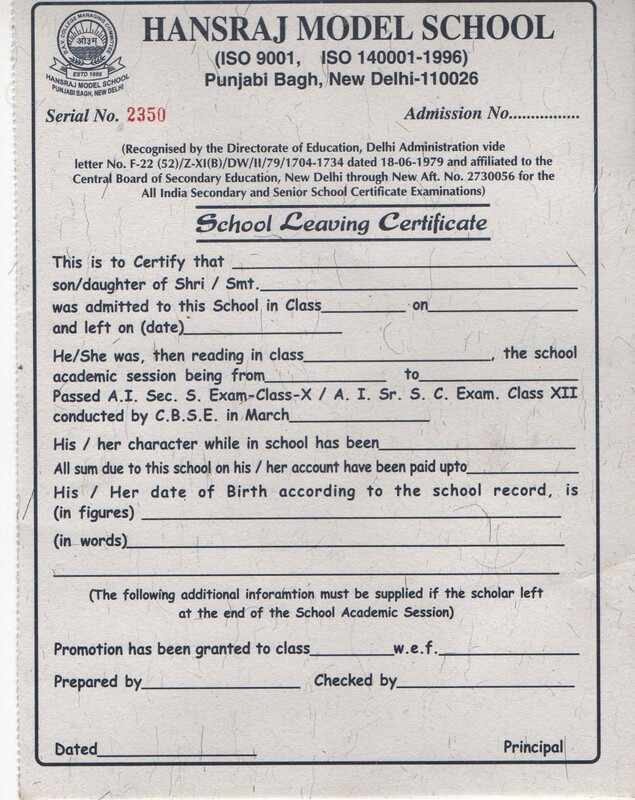 The last installment in case of Class XII students will be accepted by Demand Draft only. School Transport: Bus charges are payable for eleven months only during the session. Discontinuation of School Transport in mid-session is not permitted. Students will have to pay transport charges up to the end of the session, if they opt for the School Transport Facility. WITHDRAWAL: In case a parent wants to withdraw his/her ward from the school, either one month’s notice or fee for one month is necessary.